If you’re making plans for international travel, you can apply for a U. S. Passport at the Cape Girardeau Public Library. The library is a Passport Acceptance Facility, as designated by the U. S. Department of State. Passport services, including passport photos, are available at times convenient for you – during library hours, seven days a week. No appointment is necessary. Library staff at the User Services desk will direct you to the appropriate department to begin the process. For application forms, information on documentation required, how to renew a passport, fees and a wealth of other passport and international travel information, please visit the only official website for passport information, travel.state.gov and review the New Passport Checklist. If this is your first passport, you must apply in person. A passport application is available at the library or online on the U. S. Department of State passport page at travel.state.gov. To save time, complete the application online, print it out and bring it to the library. Do not sign this application before visiting the library to submit your application. For general questions call the library at 573-334-5279. – The U. S. Department of State’s fee for an adult or child’s passport; an expedite fee (if desired), payable by check or money order to the U. S. Department of State. – An execution fee set by the U. S. Department of State for each new passport, payable by check or money order to the Cape Girardeau Public Library. – Passport photo fee (if photo taken at the library): $10 payable to the Cape Girardeau Public Library by check or money order. Check for all applicable fees made payable to the U. S. Department of State. No cash or credit card. – $110 for an individual 16 years of age or older. – $80 for an individual 15 years of age or younger. – Optional: Expedited Service Fee – $60 additional per application. A passport card may be used for international travel by land or sea between the United States and Canada, Mexico, the Caribbean or Bermuda. Check payable to the U. S. Department of State. No cash or credit card. – $30 for an individual 16 years of age or older. 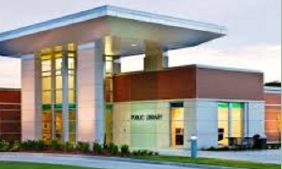 Check or money order made payable to the Cape Girardeau Public Library for the $35 CGPL processing fee per application. No cash or credit cards. – Complete DS-11 passport application. Completed online or in black ink (with no white out or scribbling). Applicants are responsible for providing legible, complete and accurate information on their passport applications. Incorrect or unacceptable information may result in processing delays and/or denial of the application. – Appear in person. All ages. No exceptions for children. – Present valid State Driver license or valid government ID. U. S. Department of State will not accept temporary paper licenses. Applicants under the age of 16 must apply in person with both of their parents or with one parent and completed form DS-3053. Applicants who are 16 or 17 must appear with one parent (parent also provides valid ID). – Pay the required fees to the U.S. Department of State (check or money order only). Separate checks must be made for each application. See Fees section. – Proof of U. S. Citizenship (original birth certificate, U. S. Passport or original naturalization certificate). All children under the age of 16 must present their original raised-seal birth certificate. Birth certificates must show the names of both parents. – One passport photo. $10 fee for photo taken at the library.